Welcome to Space and Perspective! I’m very excited to have the opportunity to work with you all. For our first meeting together, let’s start by introducing ourselves and then learn more about the space and perspective project. We will be using this site along with an Edmodo site to engage in a series of investigations about space and perspective. I’ll need to give you the group code to join the Edmodo site, which is similar to Facebook. Let’s take a moment to explore these now. 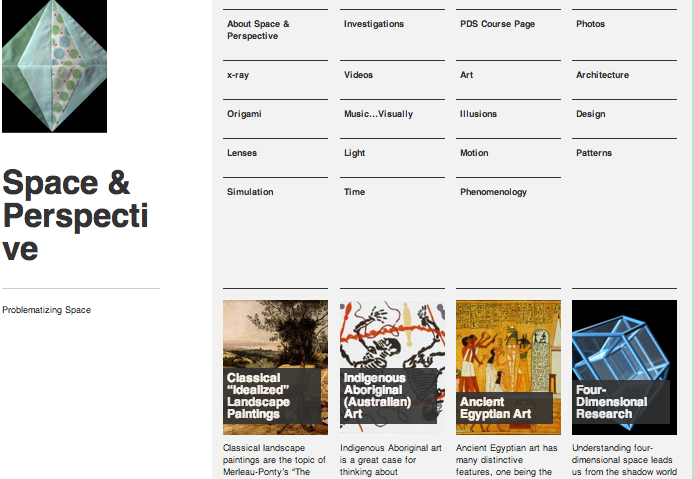 The spaceandperspective.com site contains a calendar with links to class resources, classmates’ blog sites, and investigations. Take a look at the arrangement of blog postings on the site. You’ll notice that there are 15 main categories (tags) of space and perspective. I’d like for you guys to help add ideas to the bank of cases as the course progresses. In addition, I have a consent form (for your parents) and assent form (for you) to hand out in hopes that you guys will be willing to share your learning with other researchers interested in designing instruction like this in the future. Since this is our first time together, I’d like to start off getting to know you all and collaboratively creating some “norms” for our time together. What do you think will be important for us to be able to communicate and collaborate both in the classroom and online? Let’s take a moment to brainstorm individually, then as partners, and then share out with the entire class. We can record our thinking in this Google Doc. From here, overlaps will be organized until an agreed upon set of norms is created. These norms will consider issues of communication and collaboration in both face-to-face and online contexts and may be revised as the learning progresses and as the need arises. Let’s get started creating individual blog sites. How many of you have blogs currently? What about Tumblr, Twitter, or Facebook? Sometimes these are referred to as micro-blogs. If you can create a Facebook page, you will find WordPress almost as easy to use. I teach an undergraduate class at The University of Georgia where students blog for class and have created a few tutorials to help us get started. I’d like you all to help your classmates if you see them frantically searching for that “hidden” button. Let’s explore a few of these functions in WordPress to help you blog. When you have a WordPress site address, go ahead and complete this form so that we can access each others sites. Whole class “Chalk Talk” about Blogging, Commenting, Audience, and/or Purpose. A chalk talk is a silent way of contributing to a class discussion. Draw lines to connect to classmates’ ideas and words to elaborate or express your ideas. You can come to “the board” more than once. Before we start exploring space and perspective in depth, let’s first create a concept map connecting what we know already. Using the terms “space” and “perspective” (maybe even geometry, math, etc. ), write everything you know about these concepts. 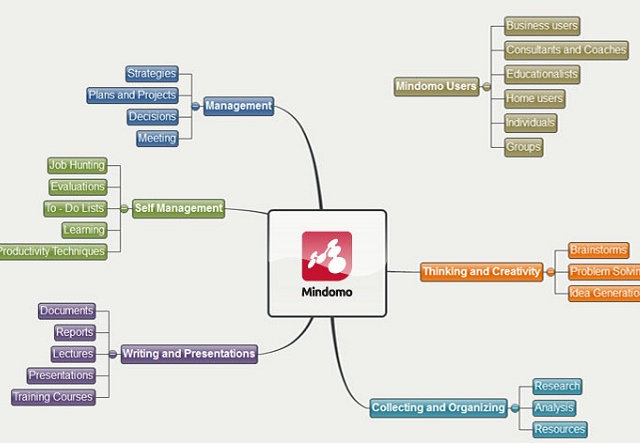 It may be fun to try and create a Mindomo map – that way we can save an image and try posting to our blogs. Click here to learn more about using Mindomo. Consent/Assent Forms – you can just bring these back to me the next time we meet (this Friday).